I recently finished my organizing sessions with Silvia, and cannot laud her highly enough. My house was a hot mess; we hadn’t organized or thrown out a thing since moving in 15 years ago. I was embarrassed to even show Silvia but she was incredibly professional, kind, non-judgmental, and best of all . . . truly fantastic at what she does. She came up with many creative ideas using materials we had on hand, from shoe boxes to iPhone boxes and the like. She gently and patiently helped me sort out our piles of things, and our house just felt better and lighter when we were through. 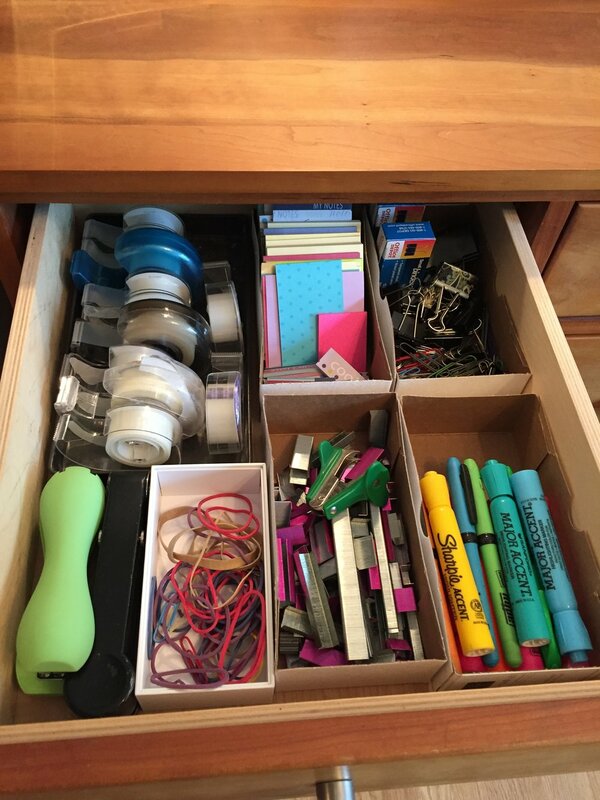 Our kids are even keeping their things neater with the organizing tips Silvia provided! I recommend Silvia unconditionally to everyone looking to spruce up their homes. 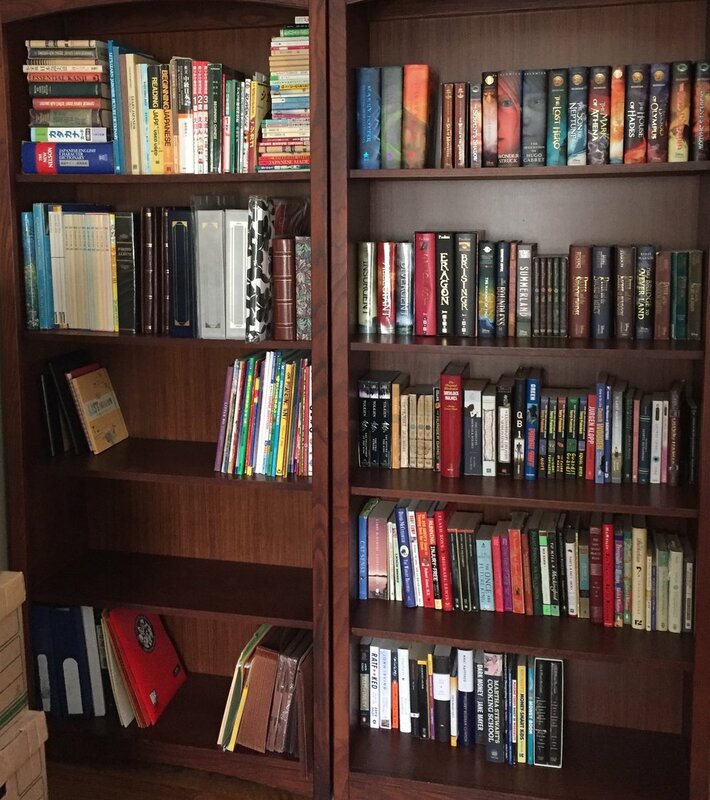 I was fortunate to have Silvia restructure and organize my in-home office in 2016. As someone who solely works from home with limited space, this was a challenge to efficiently organize the many aspects of my business. This included a new system of storing samples, placement of office equipment & supplies, reallocating personal items, a new filing structure, and more. I was also pleasantly surprised how resourceful she was with using items I would have not considered. Her ability to help me rethink how and where I work has turned out to be the most valuable and practical service. So much, that she also reorganized my kitchen and other spaces in our home. To this date, I still apply what Silvia has taught me to additional areas of our home and business. It’s an understatement to say that my family and I love what Silvia has brought to our home. 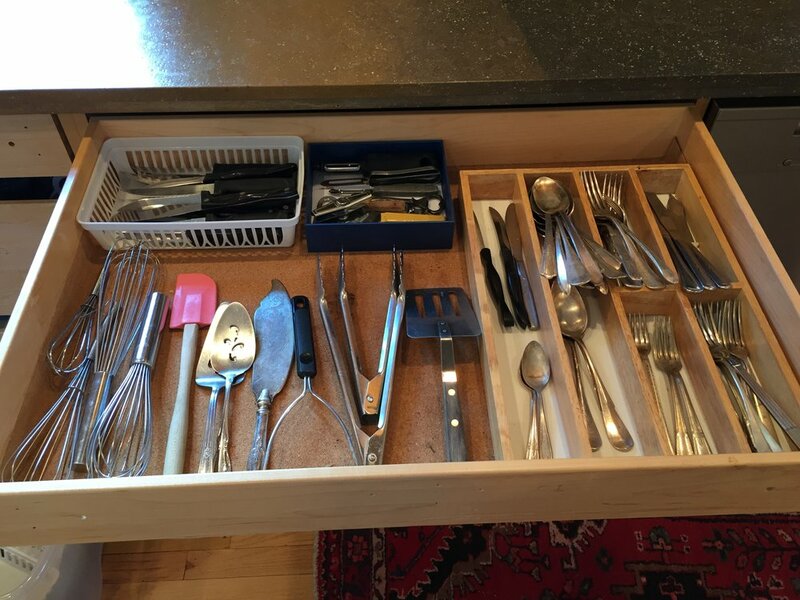 Silvia’s suggestions about organizing have brought me the biggest joy of all—more time. Silvia's energy and enthusiasm are contagious—and inspire me to lead a simpler life. Silvia is respectful of what's important to you. This service has been wonderful for us as a family. It was fun working with Silvia. Everywhere I looked, I saw clutter. My clothes were in piles in the laundry room because my drawers and closet were jam-packed. I could not get into the linen closet. The basement was filled with piles of just … stuff. I couldn’t find things in the kitchen because things were just packed in. Walking into my house at the end of the day just stressed me out. I could not even bring myself to hang any family pictures. That’s when I realized that we needed some help to get things back in order. Silvia walked into our home with a smile and notebook. It was difficult showing her around the house because it meant exposing our mess to an outsider. She quickly put me at ease as she explained the KonMari method, and I became really excited about starting the process. As we looked at the pile of every piece of clothing I owned, I felt overwhelmed and reluctant to begin. I didn’t know what brought me joy—this felt like a mistake. Silvia gently asked me to choose something that I loved, and I rooted though the pile until I found my favourite sweater. My expression changed from a frown to a smile and Silvia explained that this was the feeling that I should have for everything that was in my home—joy. With her help, we sorted through every piece of clothing, every shoe, and every handbag. At every point, Silvia was there with a smile and guidance as she organized how the chosen clothes should be stored and what would be given away and what would be thrown away. At the end of Day 1, I was tired, but invigorated as I showed off my new setup to my husband. The days progressed in this same manner. I would start off unable to imagine sorting through the mess and would end with a sense of accomplishment and peace. My husband starting using the same techniques to begin organizing his areas and by the end of day 5, I had my home back. We even found the diamond from my engagement ring that I had lost years ago in the back of a cupboard in the kitchen! We still had work to do, but I had learned the process of how to tackle the remaining areas. It has been 8 months since Silva transformed our home into a sanctuary. Everything has a “home” and I now am able to better enjoy my favourite items. Before, I couldn’t even see what brought me joy as it was covered by clutter. Now, my cherished things surround me and bring me happiness every day. My family photos just got hung over the holiday! Thank you, Silvia, for your guidance and support – you were a godsend for our family.